Have a Picture Perfect Handyman handyman do your Fence work! Experience – Picture Perfect Handyman has been repairing and installing fences since 2013. Picture Perfect Handyman fences have helped customers deter trespassers and unwanted guests, and provide privacy and security to their homes. Picture Perfect Handyman's fence professionals have the muscle and skill to install a variety of fences including vinyl composite, iron, cedar, split rail, picket fence, wire, and others. Additionally, Picture Perfect Handyman can repair, rebuild or replace any rotten wood post, or install a new gate. Affordable – Traditional fencing companies typically charge exorbitant rates for labor. 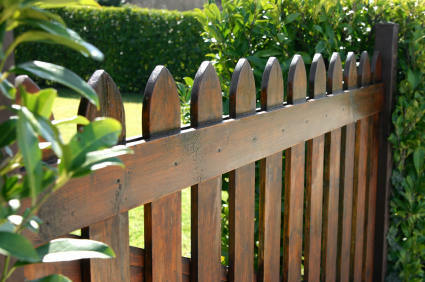 Alternatively, Picture Perfect Handyman's fence work rates are fair and affordable. Picture Perfect Handyman take prides in their work, and stand behind its performance by offering a full satisfactory guarantee. To receive a free quote, call Picture Perfect Handyman at (661) 457-5991 and speak with a customer service representative. Find out how affordable Picture Perfect Handyman's premium fence service is.